Moonen YN199 is the second yacht to be built on the 36-metre Martinique platform. She features exterior design by renowned Dutch designer, René van der Velden, with naval architecture executed in cooperation between René van der Velden and Diana Yacht Design. London based Studio Indigo is responsible for her interior design. Available for sale and scheduled for delivery early spring 2020, interior styling and decoration will be a close collaboration between YN199’s future owners and Studio Indigo. The first hull in the Martinique line was delivered in summer 2018 to industry-wide acclaim. 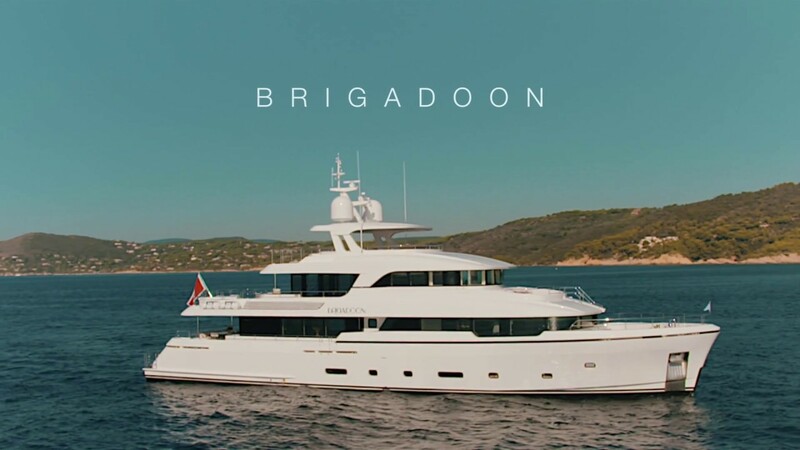 Named Brigadoon, she features a sophisticated, chic and comfortable interior from the drawing boards of Nauta Design and interior styling by Studio Indigo. The collaboration was a resounding success, prompting Moonen to invite Studio Indigo to create a new interior concept for Brigadoon’s sister ship in line with the revitalised Moonen brand and vision. This interior concept remains flexible to allow prospective owners to customise the interior design to personal style and taste. A timeless and well thought out interior layout maximises the feeling of space and light on board. Special consideration has been given to maximising internal areas to enhance a sense of space and ease of movement, making YN199 feel significantly larger than her length suggests. YN199 accommodates 12 guests and 7 crew. She is characterised by great performance, perfect stability, superb quality and particularly low noise levels throughout. YN199 measures a length of 36.3 metres (119ft), with a maximum beam of 8 metres, a maximum draught of 2.1 metres and 337 Gross Tonnage. Regarding her performance, she is powered by twin CAT C32 engines which provide her with a top speed of 16.5 knots and a comfortable cruising speed of 14.5 knots. Reflecting Moonen’s philosophy of building go-anywhere-yachts, YN199 has a range of 4000 nm at a cruising speed of 10 knots, allowing her future owners to explore the world in comfort, safety and style.